If you’re visiting Prague, chances are you’re going to have a few beers. After all, this is the capital of the official biggest beer-drinking nation in the world, and delicious local beers cost less than bottled water here! There’s a booming craft beer scene in Prague, and some of the world’s best beers are born and brewed right here in the capital thanks to a revival in Prague breweries. 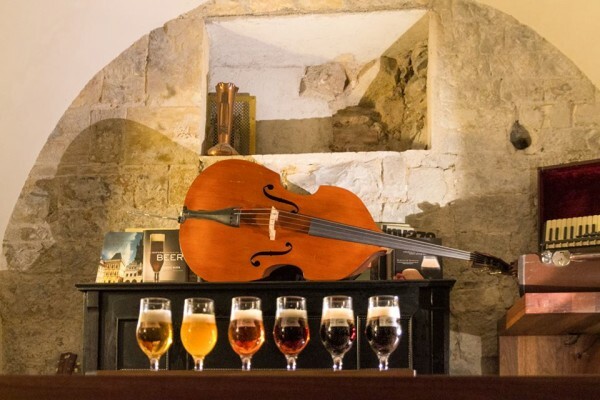 We’ve already got you well and truly covered for the best night out on our Prague pub crawl, but what about if you just fancy a few beers in Prague at a more relaxed tempo, to savour all the flavours and styles on offer, at your own pace? Well, there's plenty of multi-tap beer bars in Prague, pubs and traditional beer-halls to wet your whistle and quench your thirst with exceptional quality beers. Here’s our pick of the seven best multi-tap beer bars in Prague. 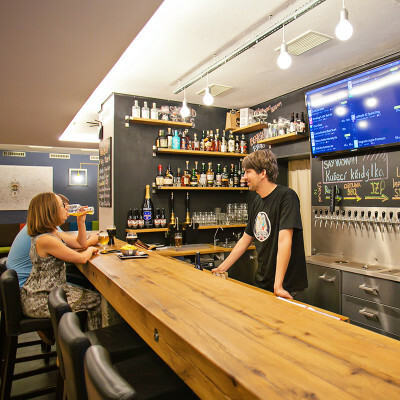 This intimately sized bar manages to host an impressive 22 taps in a modern and stylish setting, as well as a multitude of bottled and canned craft beer offerings. 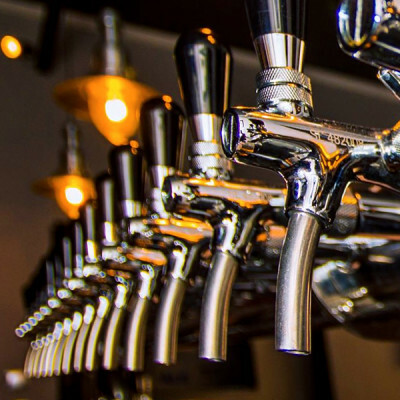 Each tap is dedicated to a top-quality draft beer from local micro-breweries in Prague. The philosophy behind Nubeerbar and one which the crew here hold very dear is a commitment to carefully selecting only the best quality craft beers to make available to their customers. The friendly team here are super passionate about beer and more than happy to guide you through their offerings and recommend the best Prague beers to suit your taste and preferences. As the name might suggest, the guys & gals behind Beergeek in Prague are craft beer fanatics and even brew their own beers too. Indeed, practically everything about this bar is craft orientated - from the tap-system to the furniture and furnishings, the design ethos of the establishment and even the menus, everything feels hand-made with love and passion. 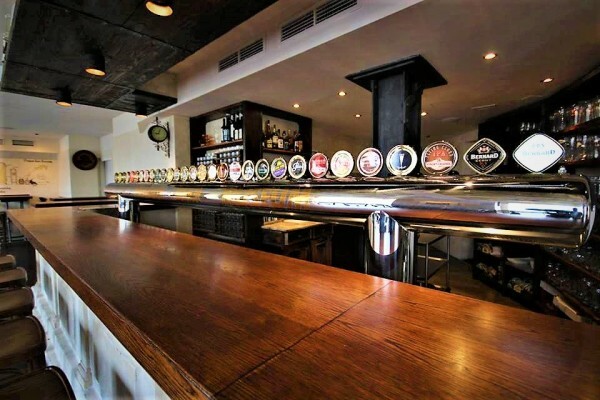 With 32 taps, BeerGeek is a most impressive multi-tap bar in Prague; your choices are virtually limitless, especially as they rotate and connect between 5 and 10 new beers every day! There is also food on offer here and that essence of hand-crafted quality extends to the cuisine too, with simple yet delicious snacks, both local and internationally inspired, available at good prices. While the first two bars on our list are quintessentially modern in style and decor, Nova Pinta certainly boasts a more traditional pub interior, with dark-wood fixtures & furnishings, exposed brick walls adorned with pictures, old beer advertisements, knick-knacks and more than a hint of nostalgia. It’s a wonderfully old-school setting with a warm atmosphere and a confident selection of beer varieties, both from small and mid-sized local craft beer breweries in Prague and international imports. A brewery and restaurant which was born from a desire to build upon the tradition of beer brewing in the Prague Osek brewery from 1241, Ossegg offers a unique environment to enjoy dining and drinking in Prague. With a wonderful menu comprised of local traditional Czech cuisine dishes, the brewing process is integrated into the restaurant experience through clever design elements as you are surrounded by the technology and mechanics of the beer production process. As well as their own house beers, there is plenty of additional beers available as well as an extensive selection of wines, spirits and other alcoholic beverages. With two locations in Prague currently, Prague Beer Museum isn’t really a museum at all in the conventional sense, though its extensive 30 tap offering of the best Czech beers is certainly an exhibit to behold for any beer-lover, and the knowledgeable staff will be more than happy to educate you about the history and culture of Czech beers and the burgeoning craft beer revolution in Prague. 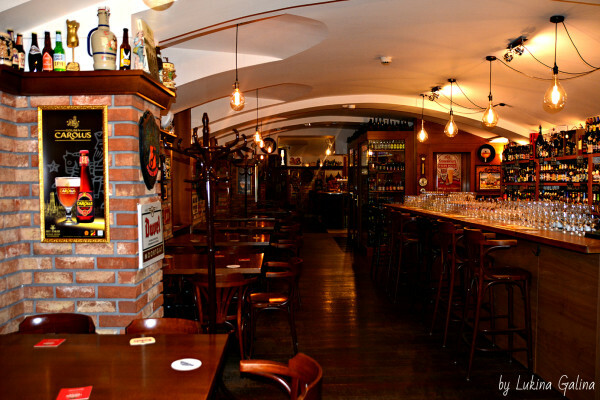 Their original pub, at Námesti Míru, is quite a large space and spans two floors. Along with Ossegg and Nubeerbar mentioned above on this list, the Prague Beer Museum is included on the excellent Craft Beer Tour of Prague which we highly recommend for an enjoyable insight to Czech beer history and culture from an expert local guide, with 11 tasty samples of local beer included! This unassuming gastro-pub is a bottle shop and one of the best multi-tap beer bars in Prague. It's the brainchild of two avid beer-brewing aficionados and home to 27 different draught beers as well as more than a hundred bottled beers from Prague, the Czech Republic, and the rest of the world. The interior and decor are minimalist in terms of colour and style - indeed, you get the sense that the real focus here is all about casual comfort and compelling craft beer – while the choice of beers on tap will satisfy any thirsty beer lover with a selection of IPAs, Imperial Stouts, Quadruples, ciders and many more. Tucked away in a hidden cul-de-sac in the charming Old Town of Prague is U Kunstatu, a delightful multi-tap beer bar located in a UNESCO listed underground 12th-century Romanesque palace dating from 1180 – a truly unique and fascinating setting for enjoying delicious local Czech craft beers from small microbreweries and mid-sized brewers. 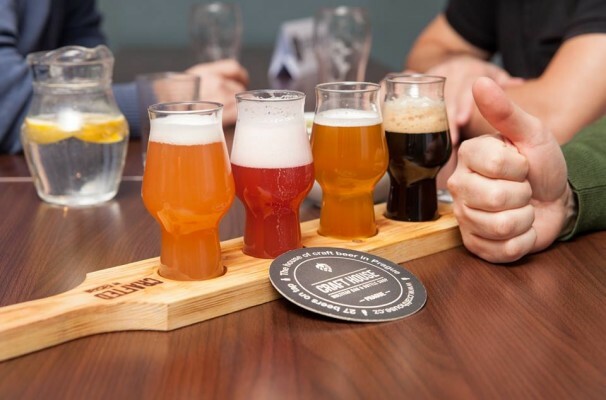 There’s a huge selection of styles, varieties and flavours of beer available on tap and as part of tasting trays and samples, as well as beer snacks. There’s a nice beer garden terrace here too if you fancy your beer consumption out in the open, but, c’mon, how often do you get the chance to drink in a 12th-century Romanesque underground palace?! There you have it, beer fans, the definitive seven best multi-tap bars in Prague to get your drink on. Of course, you don’t need to be a craft beer connoisseur to venture out to any of these bastions of beer and brewing – indeed, even if you’ve never put your lips to a craft beer before, you will be most welcome to any of this multi-tap havens, guided through the options by the helpful and friendly staff, and educated on the background of the beer and breweries; it’s not too much of an exaggeration to say that it might even be life-changing!